It's Toothache Day (according to Holiday Insights). And I most certainly wish a toothache only lasted one day, as I've had many, and have had to put my money where my mouth is when it comes to dental fees! 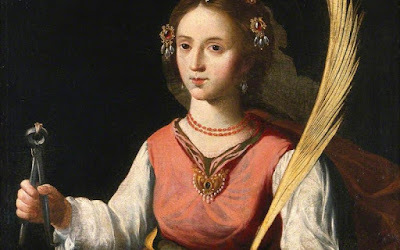 However, I should not despair, for today is also the Feast Day of Saint Apollonia. According to a number of sources, including an article published in The Catholic Herald UK, she is hailed as the patron saint of dentistry. The aforementioned article includes the image that is posted atop this blog entry and author of the takes issue with the image and states, "my difficulty with such art is that Apollonia has a vacant, wan and almost insipid facial expression. I don’t think this captures her feisty spirit: she was a deaconess in a time of great persecution and a defiant rebel." I confess that I've only recently learned of this saint (who I've now called upon to intercede on my behalf re the horrendous (painful and costly) dental procedures which I've been enduring for months), so I can't comment on the author's remark that Saint Apollonia is portrayed with an "almost insipid facial expression which the author feels doesn't do justice to Apollonia's "feisty spirit." 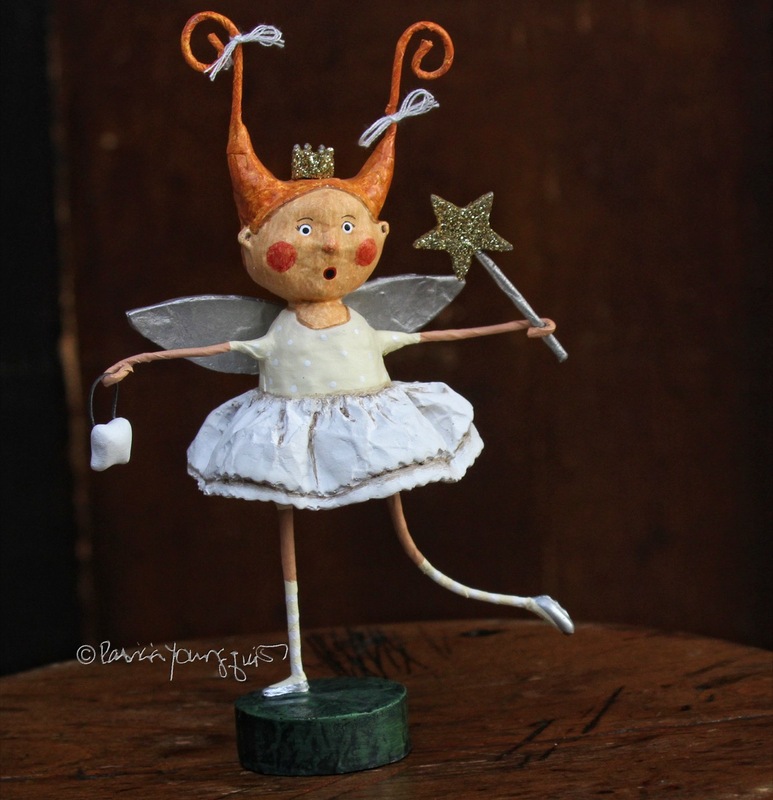 Perhaps my figurine rendered in the likeness of a tooth fairy (as seen in the picture directly below) is one who more accurately represents Apollonia's personality? However Apollonia may or may not be represented in a painting is not of much importance to me, what matters is her powerful intercession, which I hope she continues to do on my behalf, as I have more dental procedures to endure in the coming days.